Absolique Microneedle Therapy Scalp Roller is a therapeutic devise used to prepare the scalp for topical Natural Hair Loss Treatment and Safe Hair Loss Products. Microneedle Therapy creates microchannels from the scalp surface down to the target site the hair follicle and hair bulb along with triggering a healing reaction at the cellular level. Microneedle Therapy is a facilitator to enhance absorption of Natural Hair Loss Treatments and Safe Hair Loss Products. Microneedle Therapy is NOT a Hair Loss Treatment on its own and should only be used with Safe Hair Loss Products. 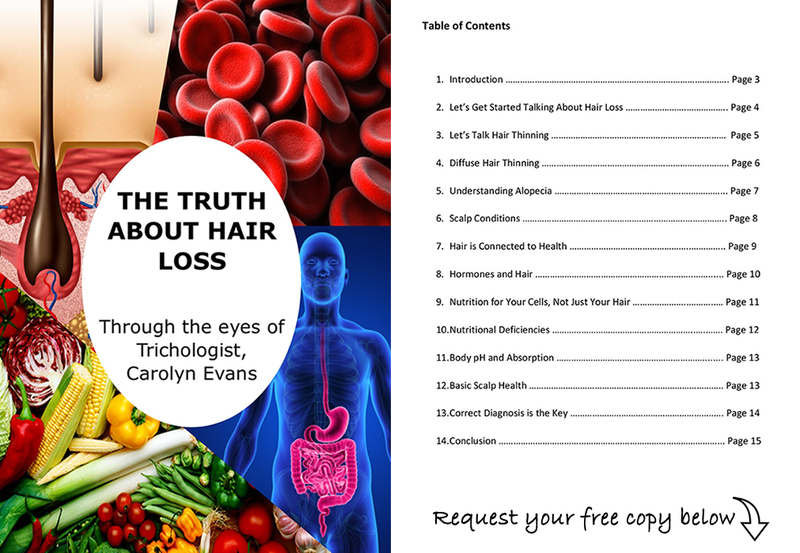 Microneedle Therapy should only be used in Combination Therapy with safe hair loss products following Correct Diagnosis. Microneedle Therapy is NOT suitable for types of Hair Loss, Hair Thinning and Scalp Conditions and should only be used after professional advice from Absolique Trichologist. Prepare scalp with Scalp Brush Therapy, Absolique Scalp Cleanser and Absolique Scalp Tonique. Towel dry hair and scalp before applying Microneedle Therapy. Apply Microneedle Therapy in treatment area as recommended by Absolique Trichologist. Follow the same pattern and sections as you do for Scalp Brush Therapy and Absolique Scalp Tonique. Apply Microneedle in 2cm sections, parting longer hair where required. Roll Microneedle back and forth or from side to side, in small motions 2-3 times moving along the hair line and also working down the head. If Microneedle is catching in hair, try another direction and take smaller sections. Microneedle therapy should not be painful, reduce pressure if pain is experienced. Only a gentle to medium pressure should initially be applied. Microneedle therapy may cause a flush on the scalp which will fade in minutes. The needles do become blunt over time and it may need replacing. There will be no visible signs of the needle sharpness deteriorating, but if you notice any increase in pain while using the Microneedle over time it is a sign the needles are becoming less sharp and you will need to replace it. After 180 uses, you should replace your Microneedle Scalp Roller. To clean the Microneedle Scalp Roller, use a medical grade alcohol based sterilizing solution or denture cleaner. Allow drying after cleaning and before use. Also allow complete drying before returning the Microneedle Scalp Roller to its case for safe storage. Never share your Microneedle, it is a medical devise and keep out or reach of children and always store in the protective case provided. When traveling with your Microneedle wrap the case with a band to make sure it does not fall open and pack in your checked in luggage, will not be permitted in carry-on luggage. Like all Absolique hair loss products, the Microneedle Scalp Roller is manufactured and quality controlled to exact standards. 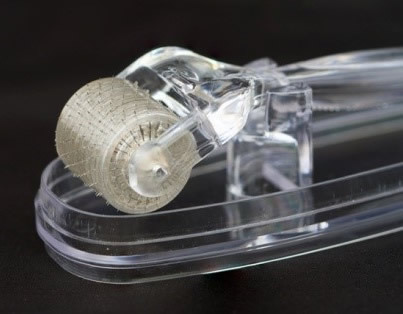 Unfortunately, due to regulations on handling of therapeutic devises we cannot accept returns of a used Microneedle Scalp Roller therefore cannot refund the product. Microneedle Precautions: Don’t use on broken or irritated skin, don’t use with Minoxidil formulas other than PG Free Minoxidil 5% as they contain a high percent of harmful ingredients, don’t use with any harmful or questionable ingredients, keep out of reach of children, can be applied every second day or at least 2 times a week during hair loss treatments, not recommended or necessary to apply daily.Is not a hair loss treatment or a hair loss product on its own. 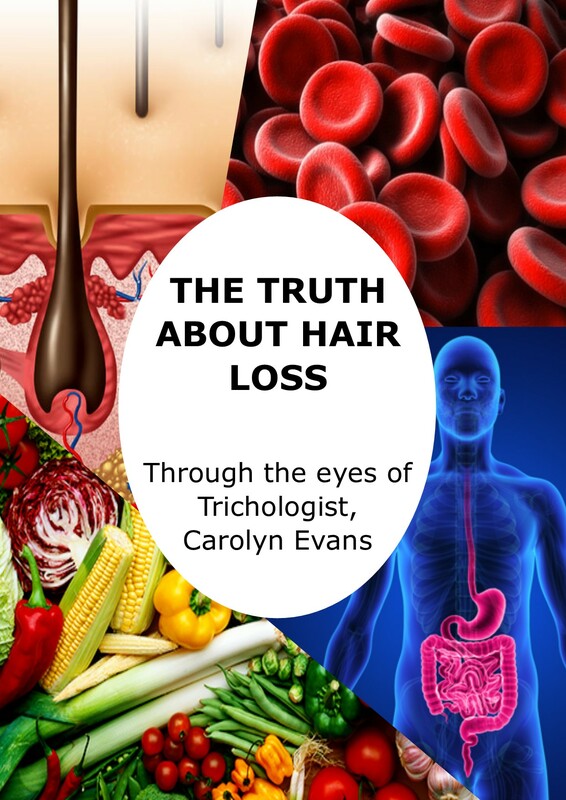 Absolique Trichologist can advise how to incorporate microneedle therapy into natural hair loss treatments with safe hair loss products following correct diagnosis.